As some of you may know, I grew up in Scottsdale, AZ. I love going back and visiting whenever I can. Last week I had the opportunity to go back to film for the documentary I'm working on. We had one full day of filming and a couple days to relax a bit, explore and catch up on some emails. Although summer is not the best time to go to Arizona(it was 112 degrees!! ), I always find ways to stay cool. I should be used to it since I grew up there, but nothing can really prepare you for that heat. My favorite way to make the heat tolerable is Dutch Bros Coffee! It's the In N Out of coffee- seriously. You can drive through or go up to the window to get an iced coffee the size of your head. Dutch Bros is so popular and any Arizonan can back me up here- the lines can get really long. Every month each location receives a shipment of thousands of Dutch Bros stickers and they're always gone within the first day. This place is the best kept secret on the west coast. 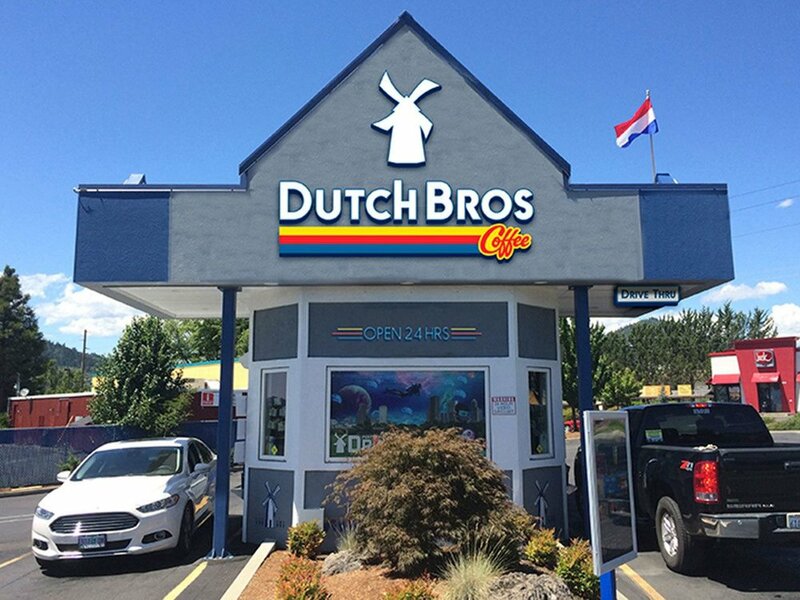 Dear Dutch Bros, please come to Cali! There is so much great scenery in Arizona. Everywhere you turn is pristine desert. I love hiking in AZ, but you have to go really early in the morning. It's fun to take photos of the desert and I experimented with an app I just discovered called Huji. The pics have a great vintage feel with this app. Loose, comfortable clothes are a must. I always bring a lot of crops and two piece sets when I'm traveling to warm places, although you can't go wrong with a tee and shorts. The day I was working I wore jeans and a summer blazer. If you are thinking of making a trip to AZ or have one planned, I have a couple tips. 3. Explore. There is honestly no place like it. Connect with me on socials and let me know what you want to see/read!